If you’ve done any research into aromatherapy and essential oils, you’ve likely been bombarded by terms like food grade essential oils, therapeutic grade oils, clinical aromatherapy oils, and more. But I want to let you in on a little secret that the essential oils industry doesn’t want you to know. Right about now you probably think I’ve fallen off my rocker. That’s ok. Bear with me. Because I’m about to show you undeniable proof that these companies selling so called food grade essential oils are nothing but marketing wizards. I want to arm you with the knowledge you need to look past marketing jargon and know which oils you can use safely in your food. First, let’s look at the term itself. But there aren’t any regulatory bodies. There are governing bodies for essential oils, but they do not regulate what is considered ‘food grade’ per se. Here are a couple organizations that do exist. There is the International Organization for Standardization (ISO) standard for a number of oils. There is also a governing body for the organic labeling of them, which is the International Federation of Organic Agriculture Movements (IFOAM). This was formed in 1972 and has been certifying essential oils since the 1980s. The only organization that comes remotely close to this sort of thing is the Food and Drug Administration (FDA). They do not determine what a food grade essential oil is, nor do they label them as such. What they do is put out an extensive list that is called ‘Generally Recognized as Safe,’ or GRAS. This simply means that the items on the list have been deemed safe and fit for human consumption for their intended use. And you would think that if it’s listed here, then you can ingest it all you want. Remember when I said something about intended use? The question is, what is the intended use? I have done a ton of research into what exactly “intended use” means. The FDA is not what you would call forthcoming about a lot of things. Even searching the term brings up a lot of rhetoric, but no concrete answers. Then again, this makes sense when you think about it, since there are hundreds of thousands of things that go through the FDA and under many different categories. And there are many different ways that a substance can be used. You must remember though; there are a ton of things that are on the GRAS list as food additives that are considered food safe that you would not want to ingest on your own. This includes certain essential oils. Case in point, mustard (Brassica spp.) is on the list above. But mustard essential oil is considered one of the most toxic of all. It is a dermal toxin, oral toxin, and an irritant to mucous membranes. The food industry uses it extensively though, for seasonings, sauces, pickling, and more. But they can do this since they are employing minuscule amounts on a rather massive scale. So, the “intended use” level for this particular additive would be much less than is feasible for use in the home kitchen. There are some ‘food safe’ essential oils. But there are many that are not. Also note that just because you can use some essential oils in food, that does not mean you should ingest them therapeutically, which is a whole other topic. We actually eat and use essential oils every day. Look for them on the ingredient lists of commercial products, and you’ll be surprised all of the oils you find. The food and beverage, as well as personal care and cosmetic industries use essential oils in everything from liquor to food to toothpaste to chewing gum. Here are a few examples that Young Living has created and are being sold on Amazon. Remember that this is mass scale production, not just making a regular Tuesday night meal at home. That being said, you can use some oils for baking and flavoring purposes. But just in very tiny quantities. How do I buy essential oils I can use in food? The first step to cooking with essential oils is buying a quality oil that is suitable for such a thing. There are a few companies that sell wholesale and retail oils that are edible. Some of them are strictly flavorings and should be labeled as such, and others are your everyday essential oils. For example, if you search for “where to buy lemon oil for baking,” you will likely come up with places like LorAnn Essential Oils, King Arthur Flour, and Now Foods. Let’s touch on the first one. What are LorAnn oils used for? They have flavorings as well as essential oils that are both listed as used for food. And, they call some of their essential oils ‘food grade’ and have instructions for using them as such. Some of their essential oils pages have instructions to use them in cooking too. For instance, there are directions on their bergamot oil page to use it as flavoring. However, on Now Foods, they have essential oils as well and sell plenty of things for ingestion. Yet they have an entire FAQ section about food grade essential oils that explicitly says not to ingest them and outlines the reason why. Both of their essential oils are listed as 100% pure. One company chooses to use them as a flavoring, and another says they are not meant for that. In this industry, it is entirely possible that the oils came from the same supplier. This is why non-regulation of terms can get so darn confusing! To buy essential oils for cooking, there are specific characteristics to look for. Yes, you may see food grade, but we now know this isn’t reliable and is not regulated. However, for certain oils that can be used in the kitchen, you want to look for those in the same way as you would look for ones to use therapeutically. Keep in mind that edible essential oils are not the same as food flavoring oils or food grade extracts, which are often made up of synthetic chemicals. So, to buy food grade essential oils, you want to look for those that are 100% pure, natural, and unadulterated with the correct botanical name on the bottle. And if you want to make sure the plant was grown without the use of chemicals, look for organic. What essential oils are edible? Unless you have studied the chemistry of oils and know what you’re doing, I recommend you stick to a select few. There are some floral ones on the following list, but the majority are made up of fruit and spice oils. How do I use essential oils in cooking? A single drop is often all you need. Sometimes that is too much. In this case, dip the tip of a toothpick in the essential oil and swirl it into your food. A little goes a long way! You should not use oils to substitute for certain things. For example, you don’t want to try and find chocolate essential oil to use in place of cocoa powder for brownies. Use common sense. Another thing is that just like anything else, some items may be called different things, yet can be used in the same way. For instance, when looking for lemon oil for food, you may find organic lemon oil, lemon extract, or even essence of lemon. But they are all under the category of edible lemon oil whichever way you look at it. Be sure to read the ingredients list to check for chemicals in all cases, and choose the purest form for the best results. If you already know how to cook, it is likely that you will intuitively know what oils to use with what, just like with spices. Some cool things to try would be adding edible lavender oil in ice cream, peppermint oil for baking, or lemon oil for fish. Another cool trick to using essential oils in the kitchen is making flavored oils and vinegars. To make them, start by adding one drop of the oil per two fluid ounces of the oil or vinegar. You could also mix up oils to use for salads, marinades, dips, and much more. Whenever a recipe calls for a food grade extract, try using an edible essential oil instead. One thing to remember though is that you will not need near as much. As concentrated as extracts are, essential oils are much more potent. Do not try to use a teaspoon of essential oil as a substitute for a teaspoon of extract. It will ruin the recipe by being way too overpowering. There are a lot of terms in the essential oil industry that are nothing more than marketing ploys. Therapeutic and food grade are among them. But this doesn’t mean that you can’t use essential oils for cooking or for baking or even for flavoring your tea and ice cream. What it does mean is that just because something has a term on the label or is natural, it does not make it accurate or safe. Just like you seek out quality oils for aromatherapy use, you want to look for pure, unadulterated, 100% natural oils to use in your food recipes. Do you use essential oils for food recipes? I love to cook, and would like to hear about them in the comments! are they save for oral intake. Check out Zongle, which lables their Frankincense Oil as safe to ingest. Just make sure, however, to read up more on when, how much, and how often to ingest Frankincense essential oil. My understanding of Frankincense essential oil is that it is not recommended to ingest it too much, and too frequently. I am not sure at the moment about Myrh, sorry. I am just learning about all the edible essential oils available myself, but I am positive about safely ingesting Frankincense as that tops my must have essential oil list right now for home remedies I plan to use. Remember as well that what might be safe to ingest isn’t exactly safe to breathe into your lungs or rub directly onto the skin or at least in certain areas of the skin, and vice a versa. Research about each essential oil you plan to use and buy very carefully! Once you feel confident about what you learn then have fun experimenting, and enjoy reaping the benefits too! Hi Tina, I’d recommend looking for unadulterated and organic oils, especially if you’re going to be using it on skin. Hi Mom I’m new to the game,got a lot of time on hand now that I’m not able to work for the last two years looking to get into something that I would have a passion for I think this is it oils what they are for and how to use them differfuser,cooking etc glad I ran across your post looking forward to learning a lot more from your info thank you! I believe doTerra to be the worlds best quality essential oils and fine to ingest. They do the proper CTPG certification and are organic,. They may cost more but are pure with no additives or nasties. They are of medicinal quality. I understand it is very confusing for people to know what is 100% and not 100% pure when a dilution of up 95% can still say 100% pure. I feel doTerra are the the most reliable, honest pure essential oils available with no nasty pesticides. After all you get what you pay for. What are your thoughts? If only they didn’t have the MLM process, they would be more accessible for the every day person. Rhanks for your research. What a confusing mess. So, inhaling essential oil is safer than ingesting?! My understanding is that not every essential oil is the same as far as safe use of that essential oil. Some are safe to ingest but may not be safe to inhale or to use topically, and some are safe to inhale, but only for a limited time frame, and some are safe to use topically but not near the lungs and some are safe to use topically, ingested, and to inhale too, and so on. Do a lot of research on the specific essential oil you plan to be using first before you buy and then make sure you have researched fully the product you plan to buy. 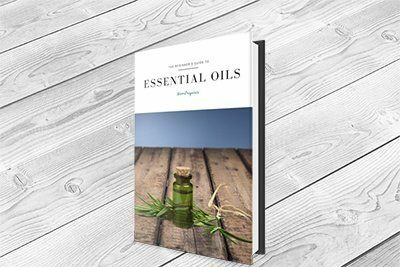 Hope that helps clarify for you that this article doesn’t cover everything you need to know about every single essential oil, such as how much, with what carrier oil, and how often and how to use and what for, regarding every type of essential oil that there is available. I’m in product development with EO2 Perform LLC, and I bet I just swallowed at least 30 drops or so if various Young loving essential oils namely cinnamon bark, cardamom, clove, orange, peppermint, basil, nutmeg, and black pepper. I’m still alive and have no issues whatsoever.???? I am still alive too and I have used them in my water and a few recipes.I love Young Living. You! Are a rock star for compiling this great info! Thanks so very much – took so much confusion out of this topic! I am most interested to learn whether Rosemary essential oil can be added to my morning glass of water, to which I add lemon juice and apple cide vinegar and warm water. I was thinking of using one drop of pure oil to stilimulate bile production in the liver to help vitamin A absorbtion to help ride myself of sinusitis. Excellent information! This information is so helpful. Thanks so much. I DO NOT BELIEVE WHAT YOU HAVE WRITTEN. BUT LIKE TO KNOW WHERE YOU GO SHOPPING FOR YOUR OILS. Saw a few things on here that should be addressed… first, while small amounts of an essential oil are fine in most cases, some are indeed toxic and should not be taken orally. Rosemary is one of these, as it accumulates in the body. Drinking it in a glass of water is NOT the way to go! Also, while doTerra is good, they are unfortunately not organic. That said, I have taken some of their oils orally before (for anaphylaxis,) and it went just fine. With essential oils, sometimes inhaling is better than oral intake, and sometimes oral intake is the best; it depends on the particular oil and what you are taking it for. But PLEASE always research thoroughly before dosing! Hello, It is my understanding that with essential oils and hydosols, the term “food grade” means that the alembic that was used for steam distillation was sterilized and made of stainless steel. The commonly used copper alembics could contaminate the oils with too much copper, which is bad for germs, but also bad for mammals. I used to have a website where I posted information about health topics and medicinal recipes. I ended up removing the website because some people were doing truly crazy things with the recipes, having misunderstood very basic instructions. I was afraid that someone would get seriously hurt…and that was just for making shampoo. There is such a thing as a licensed Naturopathic Doctor. Anyone who wants to ingest essential oils as a medicine should find an N.D. and for a $40 consultation fee, talk about likely allergies, safety, what herbs and vitamins are actually the best choice. I wouldn’t mix two oils together and hope for the best – yes, you may “still be alive”, but with liver damage. This is a very one sided argument. Somethings are not FDA approved because they do not need to be approved as a drug. Foods that ARE FDA approved still kill people all the time because they are allowed to be bought over the counter. Think clearly about the effects of wine, beer, vodka, cigarettes, caffeine or Energy Drinks. Think of Saccharin, Aspartame, Phenyalelanine, Sudafed, – could you take any of these in a large dose and not get sick or die? Well, of course you can die. Opiates are FDA approved and yet doctors prescribe them causing teens to get addicted and even die. So lets put this in the proper perspective. I have been eating Frankincense for my cancer. You can use the oil or the capsules Its called Boswella. My twin sister and I both were cured, no chemo, or radiation. We did alternative things by TRUSTING ourselves. Why would we use something that kills cancer but destroys our immune system at the same time? Radiation is deadly. Chemo is deadly and yet just because 25% who use chemo/rad treatment survive people think its a cure. Thank you so much for this! I don’t even want to use them for cooking, just on my skin! I’m very careful about what I put on my skin and that of my daughter and would like to start adding oils to my shea butter. This was so helpful about which oils are safe to use. I am a wood worker doing salt and pepper Mills, cutting boards and am interested in mixing with bees wax and mineral oil for a finish on the surfaces. Any thoughts on this?